Three years after his two-year marriage to Miranda Pak ended in divorce, the 49-year-old proposed to the model and restaurant owner on Christmas Day and vowed to make it last ‘for eternity’ this time. The Empire actor, who similarly remarried his first wife after a two-year split, presented his third wife with an unbelievable rose gold diamond ring and told her she ‘made him complete’. 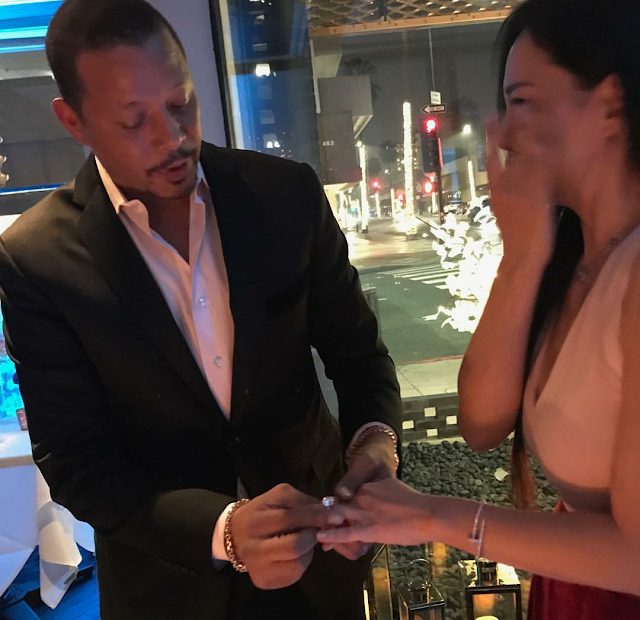 A proposal video, posted to Instagram on Tuesday, captured the moment Terrence declared his love for his ex-wife in front of a room of dinner guests. He said: ‘It took me 45 years to find you, but now that I have you, in my fiftieth year, I will spend the rest of eternity by your side. 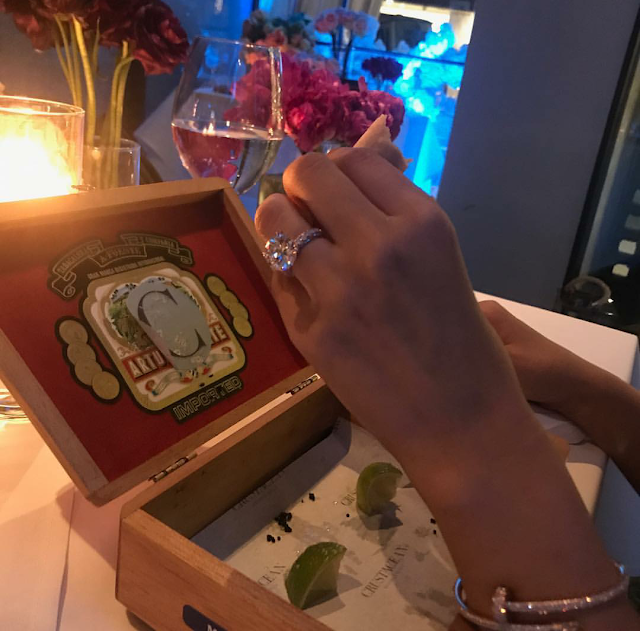 ‘I pray that everyone finds that one that will complete them for all eternity.’ He then shared pictures of the moment Mira broke down in tears while he put the ring on her finger again. The couple originally filed for divorce in 2014, while she was still pregnant with their only child, three-year-old son Qirin. And the actor’s marital history reads like a storyline from his famous American TV drama, Empire. He shares three children – Aubrey, Heaven and Hunter – with Lori, and only two years after they divorced in 2003, they remarried in 2005, before ultimately splitting again in 2007. His second marriage followed in 2010 when he wed Michelle Ghent. They divorced in 2013 and later that year he married Miranda.